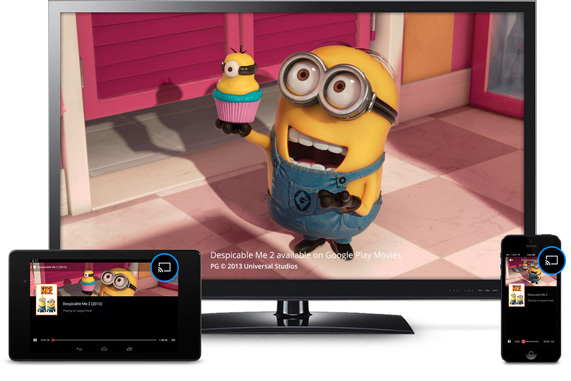 Good News Indians, Google Chrome cast is now available in India at cheapest rate (Rs 2999) only. Google Chrome Cast is simply a thumb sized Media streaming device that can be plugged on HDMI port of your TV and can be streamed your Android smart phone, windows phones, Iphone, laptop, anything your have to your TV. Installation of Chrome Cast is simple and easy. Connect your Chrome Cast to your TV and you are ready to share your stuff from your smartphone/tablet or laptop.